James Wyant has contributed significantly not only to the field of optics, but to two universities that pride themselves on optics research and education -- the University of Rochester, where he received his MS (1967) and PhD (1969) in optics, and the University of Arizona. Wyant was the founding dean and continues as professor emeritus of the College of Optical Sciences at the University of Arizona, where he joined the faculty in 1974 and has advised nearly 60 graduate students. He has been a visiting professor at the University of Rochester's Institute of Optics since 1983. He serves on the University's Board of Trustees, on the Dean's Advisory Committee of the Hajim School, and is a member of the George Eastman Circle. Wyant honored his former optics professor by establishing the Parker M. Givens Professorship in Optics at the University of Rochester in 2001 and also established the James Wyant Professorship of Optics at the University in 2013. 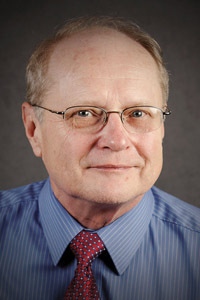 He is co-editor or co-author of six books on optics, author of more than 300 professional publications, holds ten patents, and often lectures on interferometry, holography, and optical testing. He has helped launch and direct such ventures as WYKO Corporation and 4D Technology. He has been president and an active member in both the Optical Society of America (OSA) and SPIE -- the International Society for Optical Engineering.